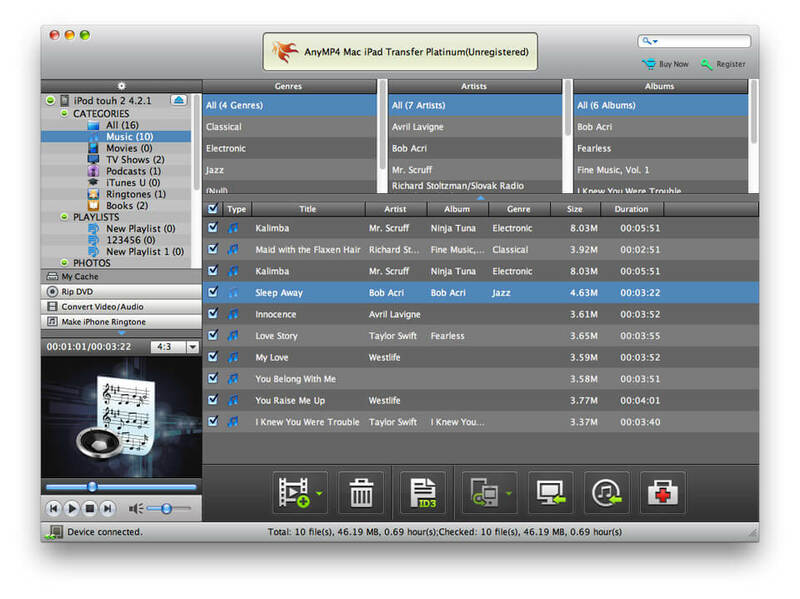 AnyMP4 Mac iPad Transfer Platinum is the wonderful iPad transferring software designed for iPad users. Also, it can not only help users export iPad all files to Mac for backup, but also import videos, music and images from Mac to iPad. iPad compatible video formats on Mac. And it can work well with the latest iOS 5.1.